It had been a while since I did a long hike. Now with my big trip and the summer behind, I took the opportunity to do this longer loop on some new trails for me. 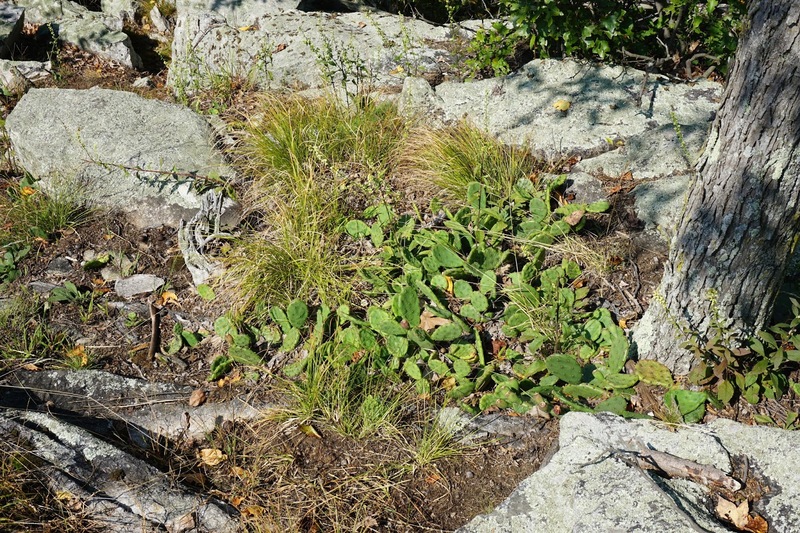 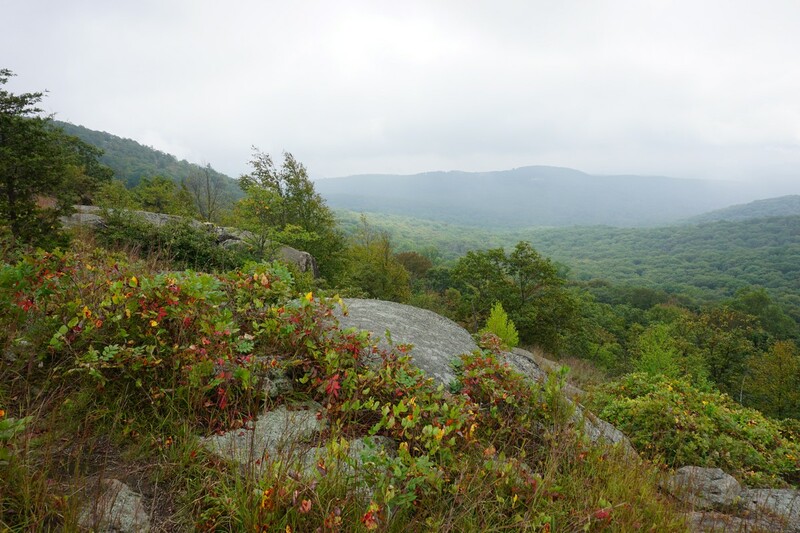 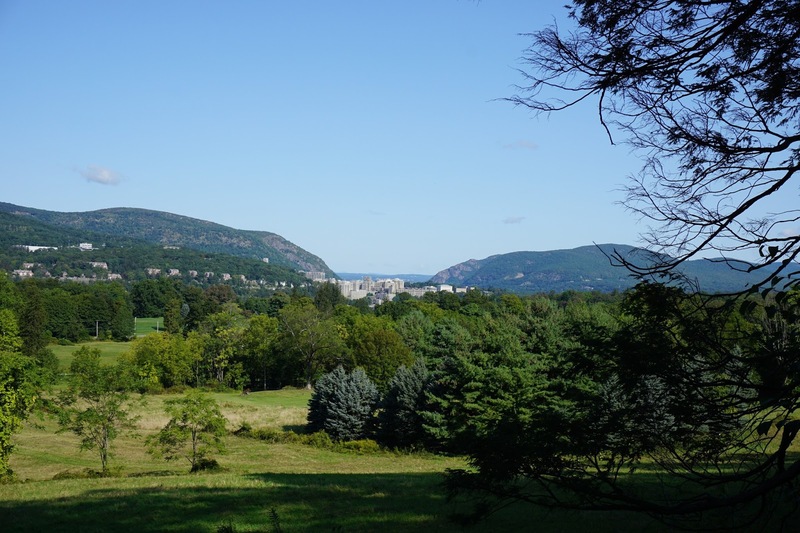 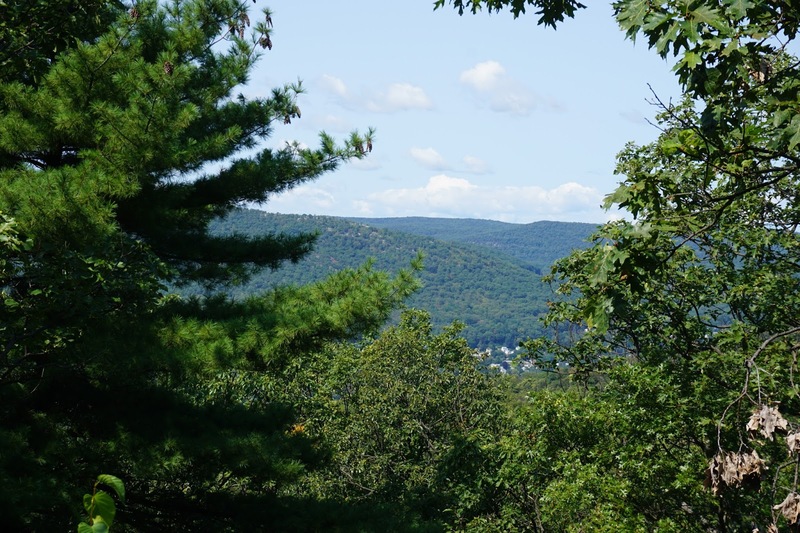 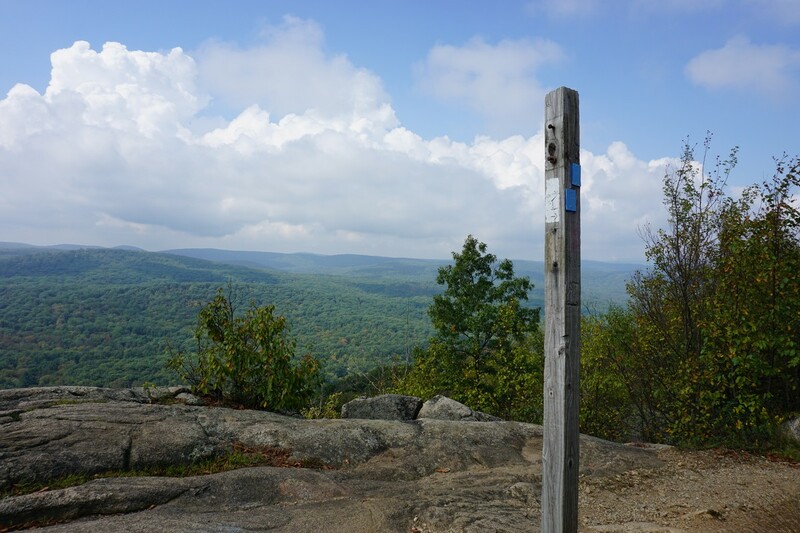 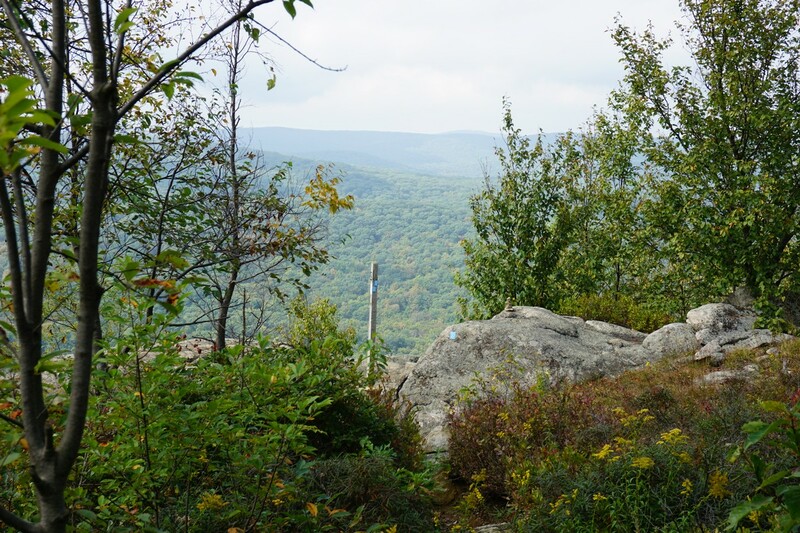 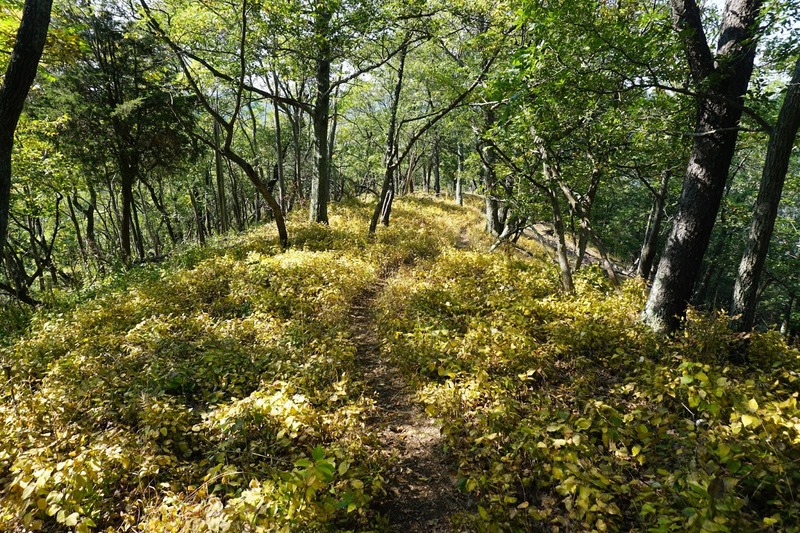 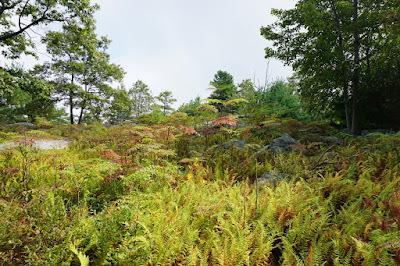 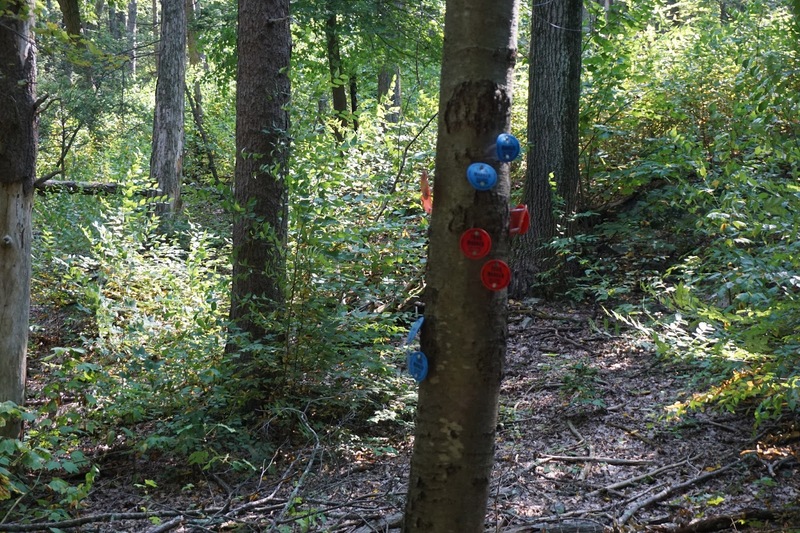 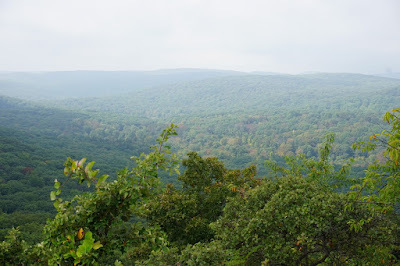 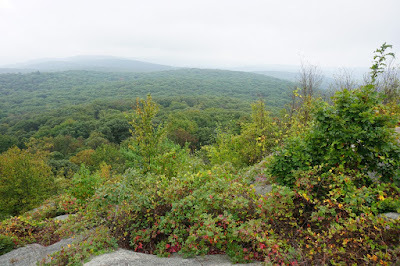 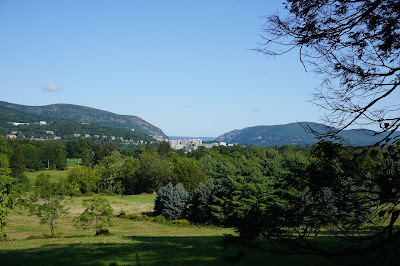 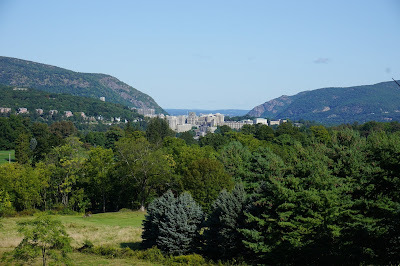 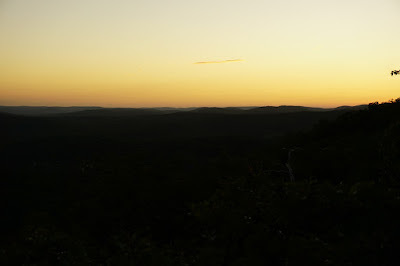 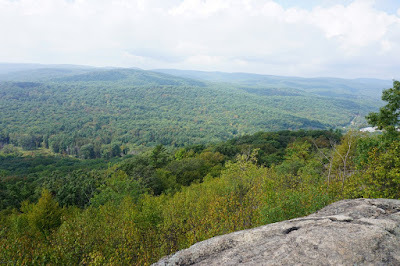 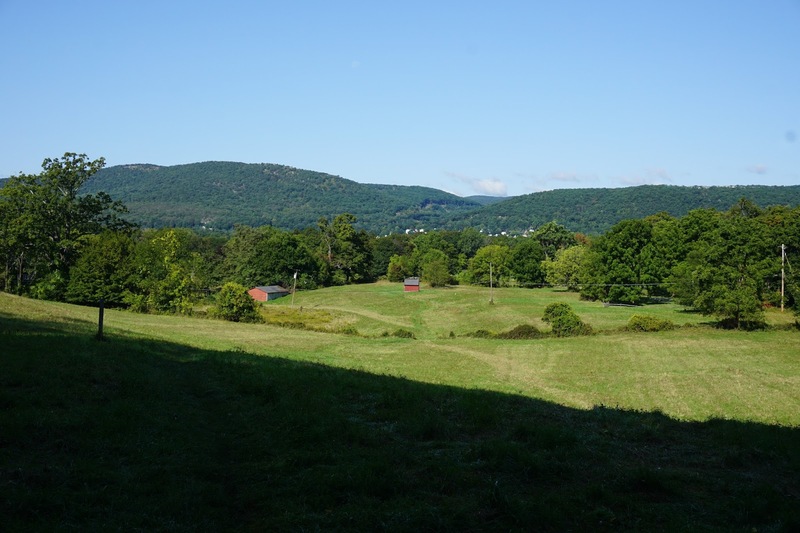 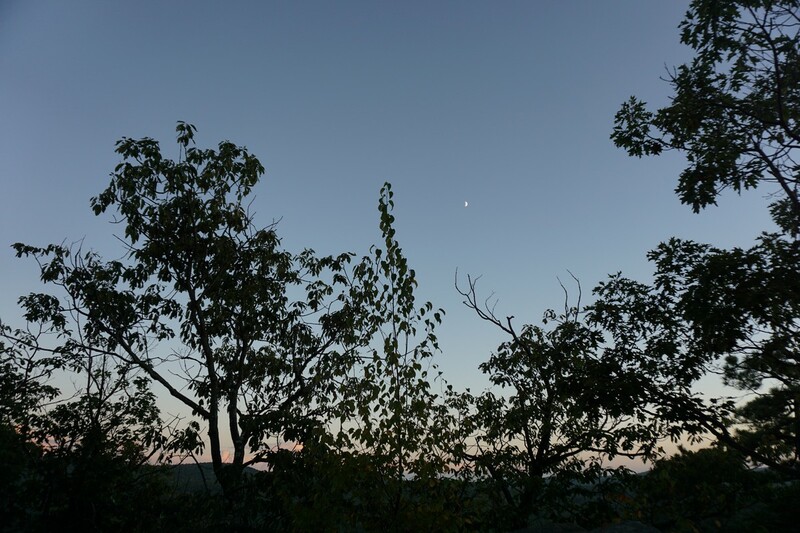 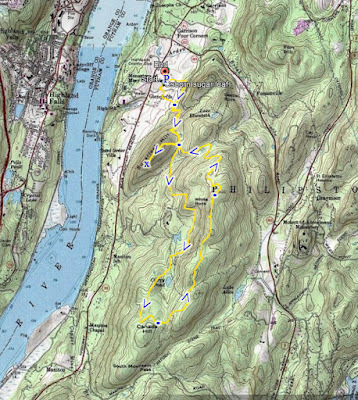 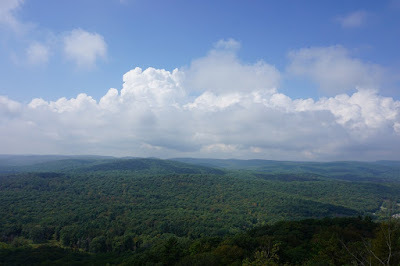 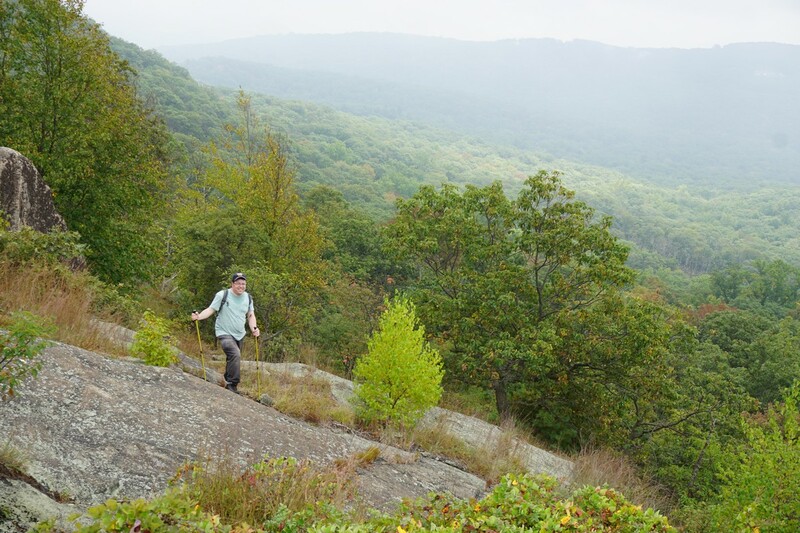 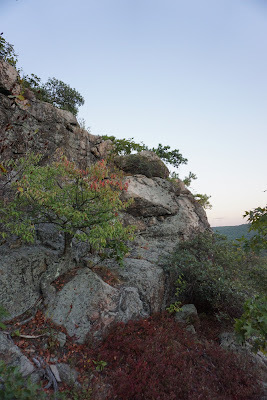 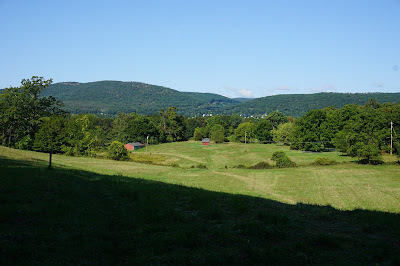 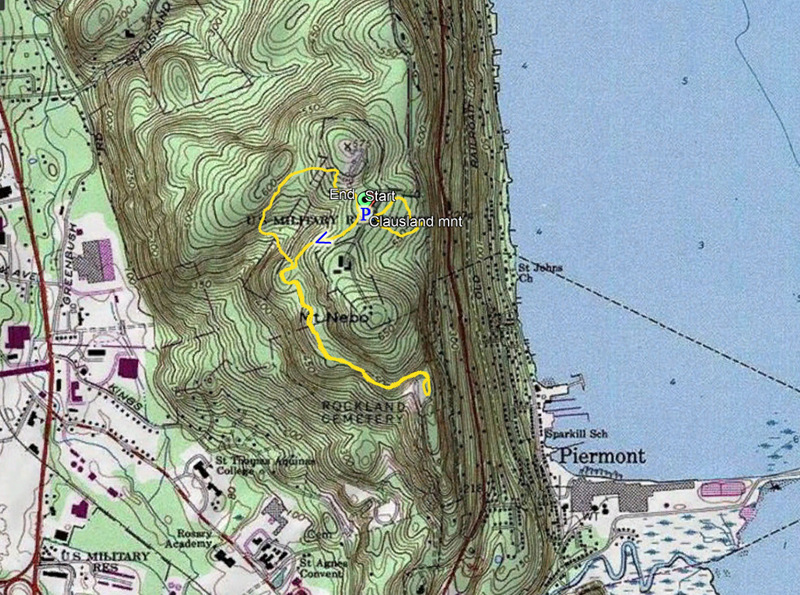 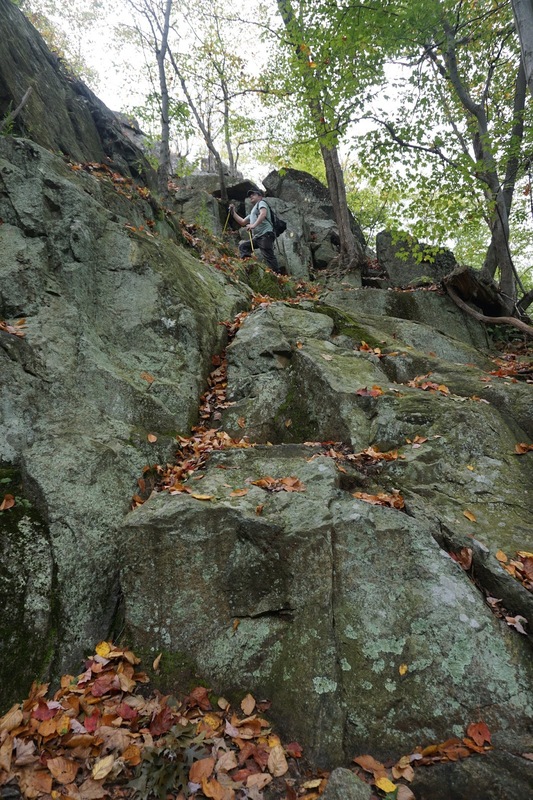 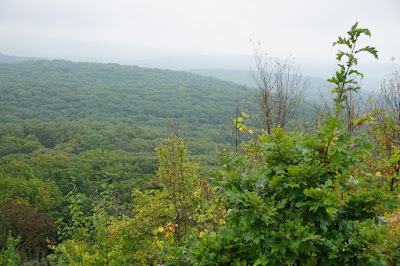 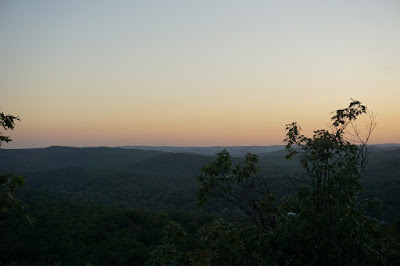 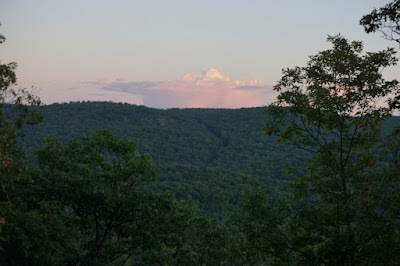 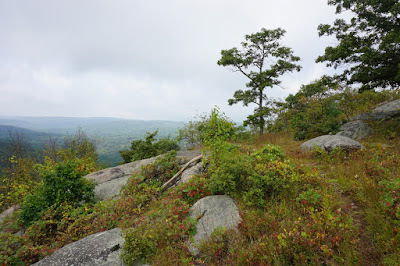 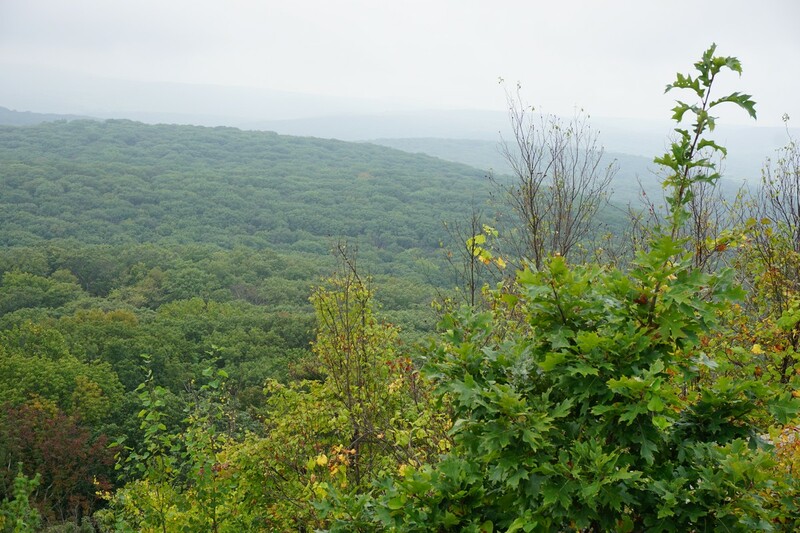 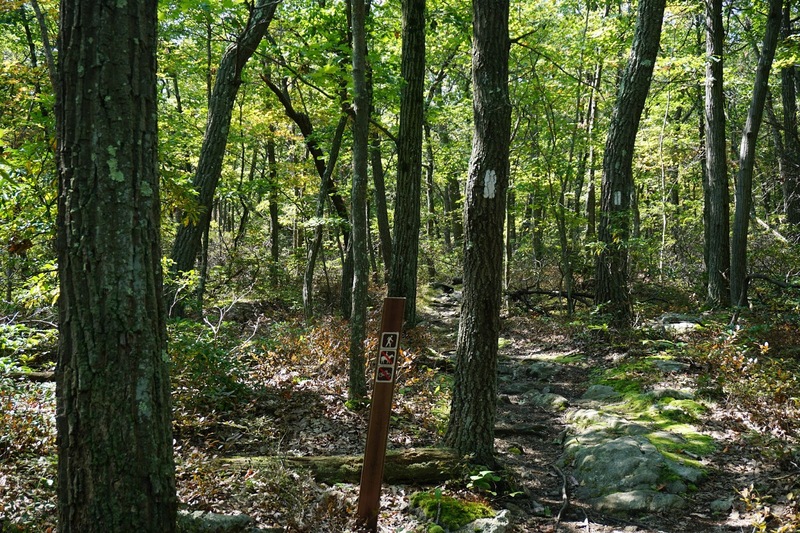 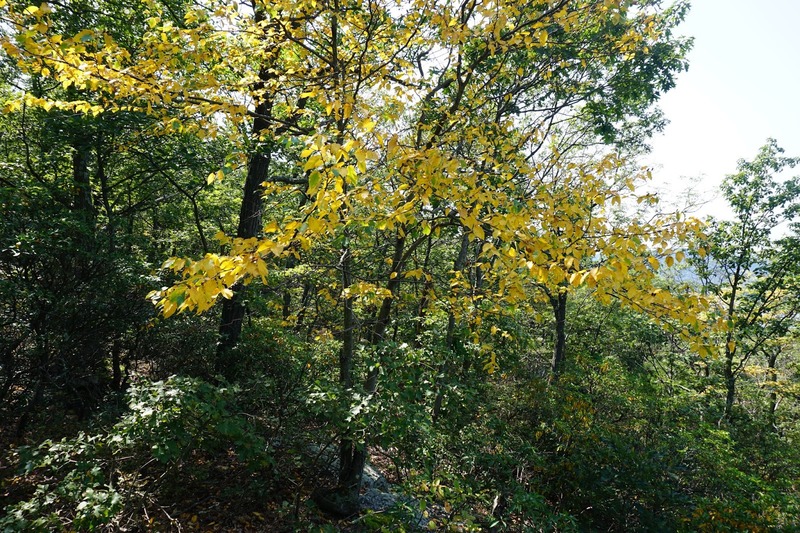 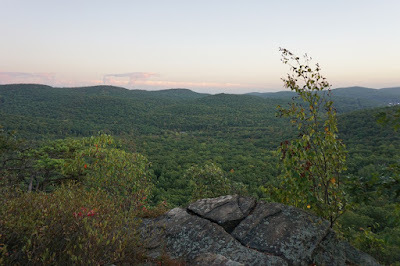 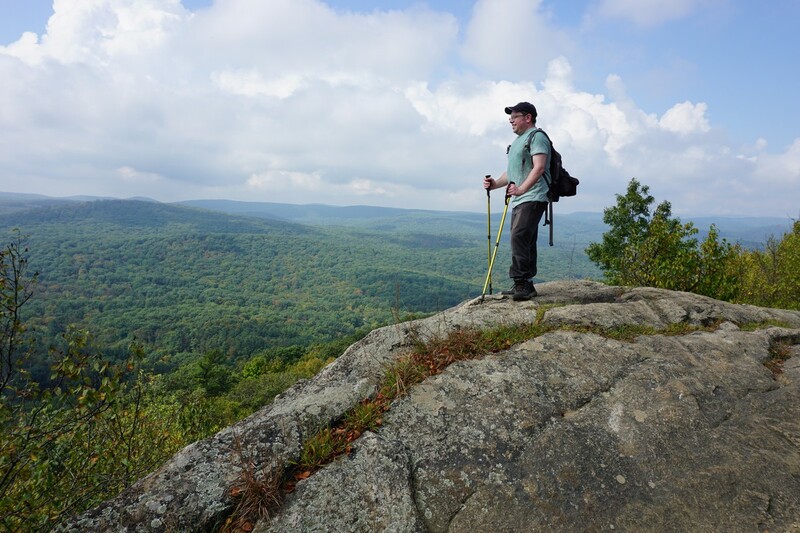 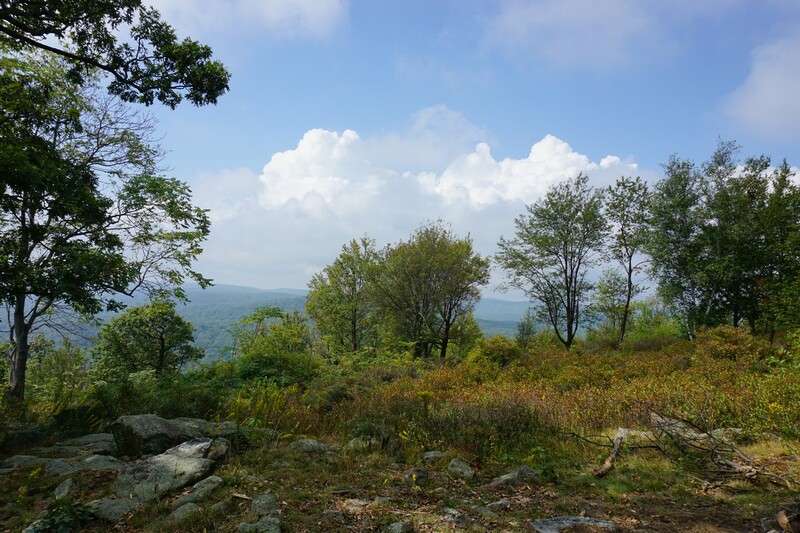 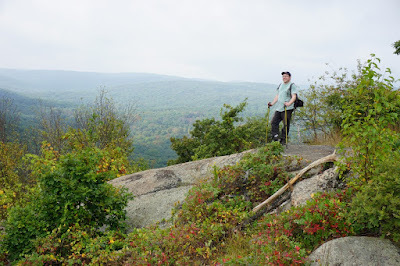 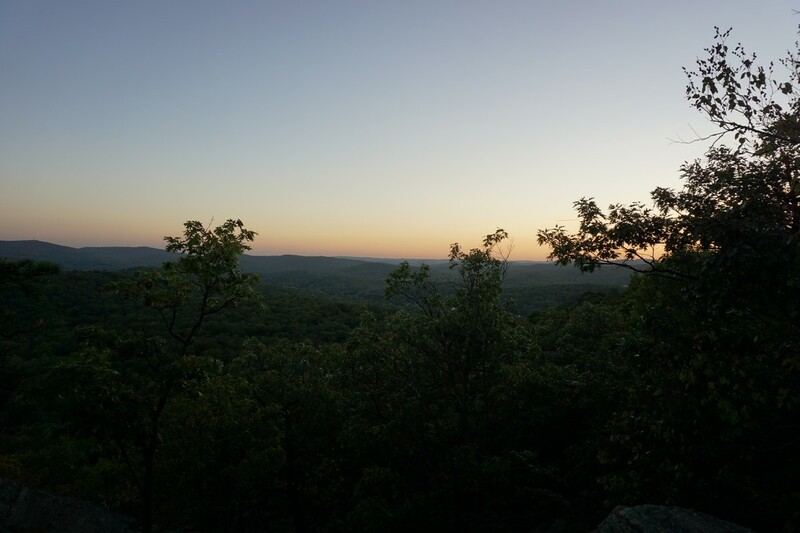 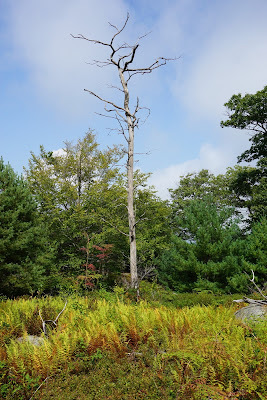 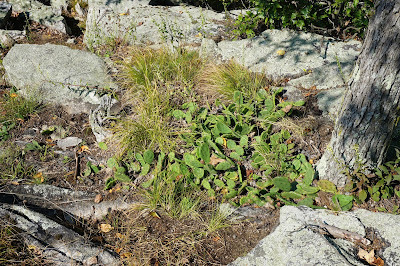 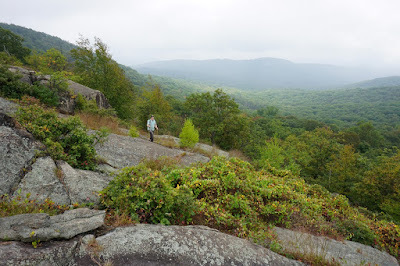 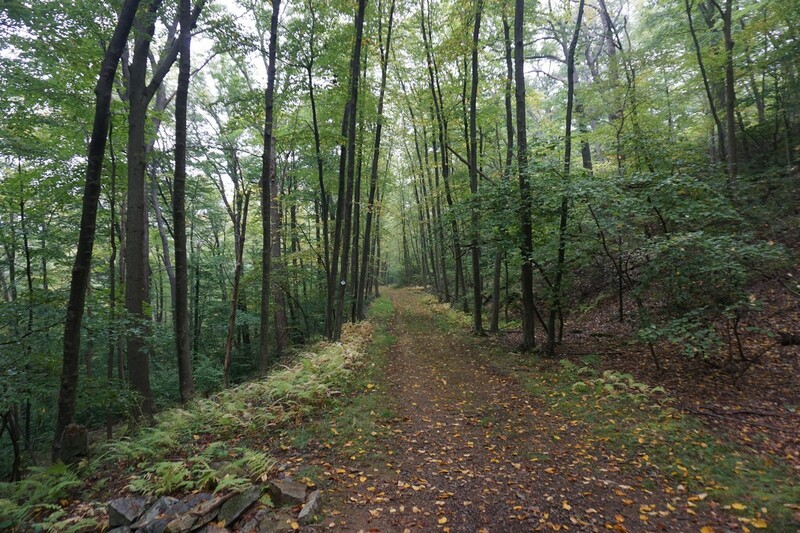 I had been to Sugarloaf Hill before, as well as parts of the Osborn Loop, but the last time I was at Sugarloaf Hill was in 2011, and I have been intent on covering more trails in Hudson Highlands State Park in the eastern Hudson Highlands. 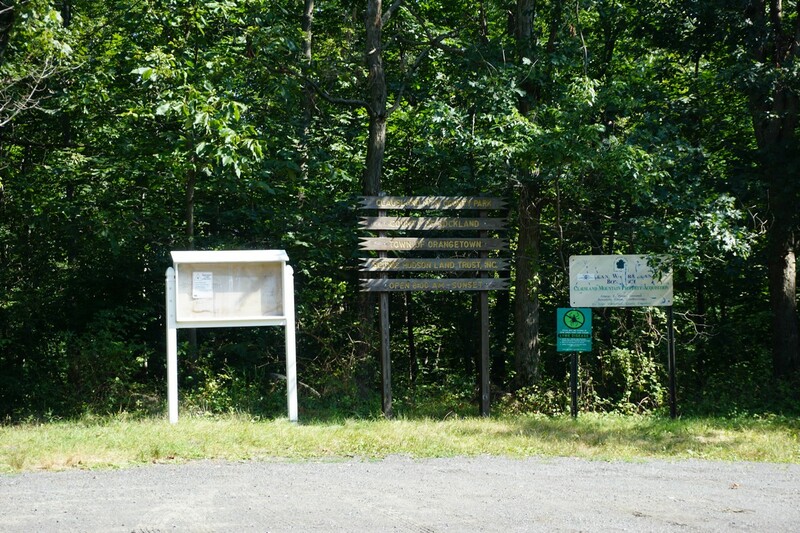 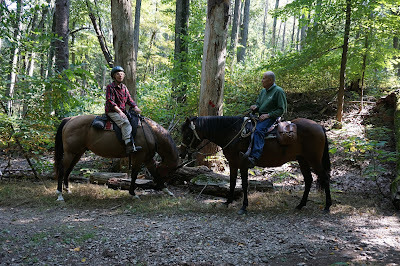 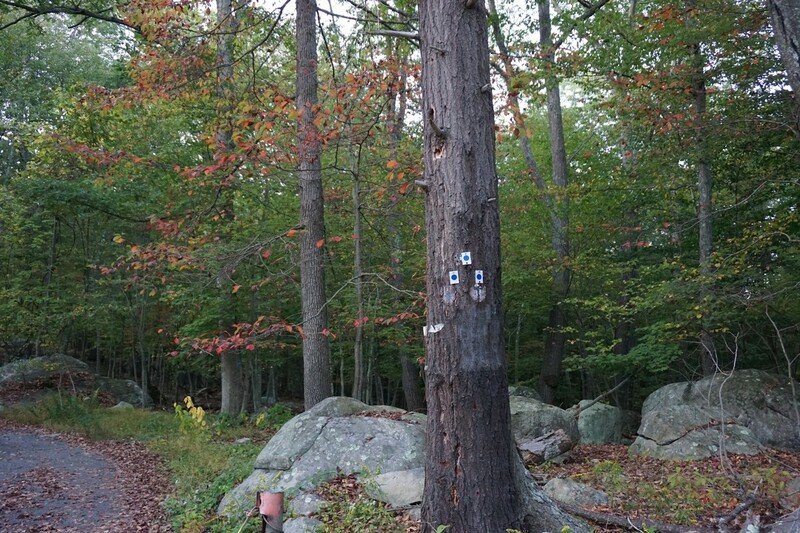 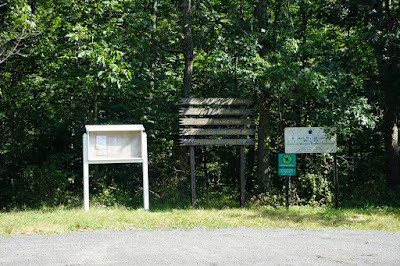 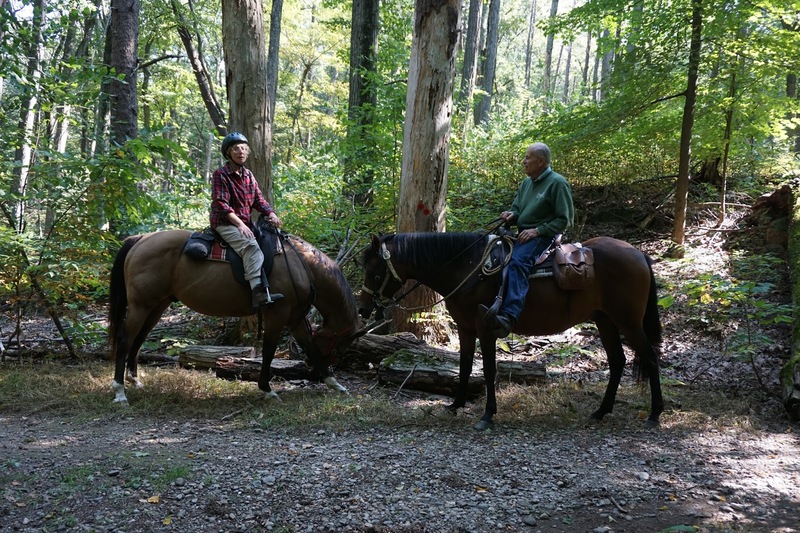 I parked at the trailhead at Wing and Wing Road, where the Blue and Sugarloaf Trails start. The Blue Trail probably has a name, but its not listed on the map. 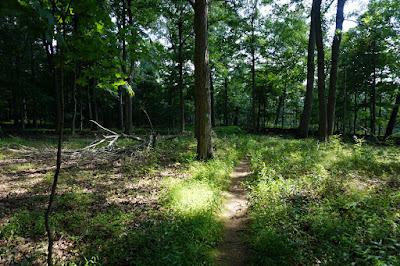 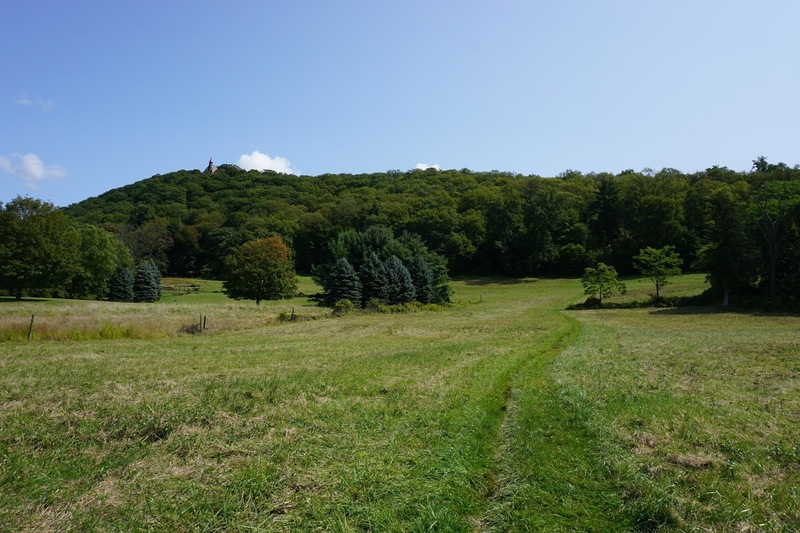 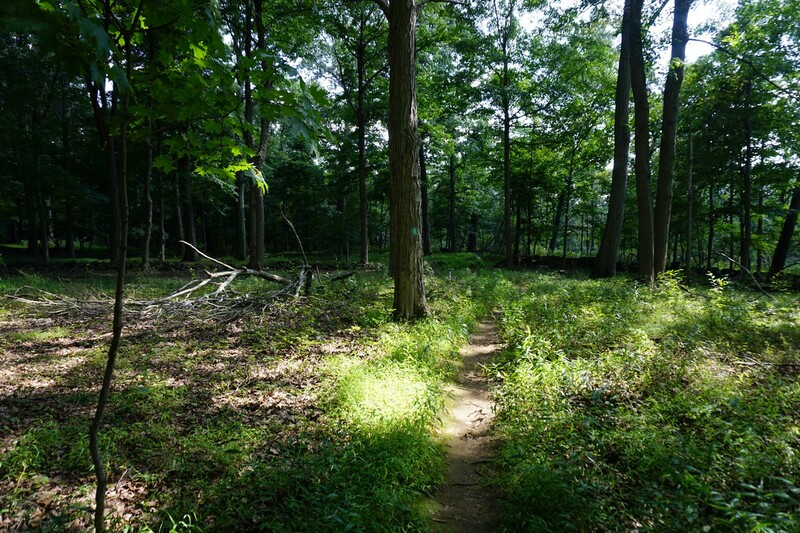 Its a short trail going through the grassy meadow, and then ending at the Sugarloaf Trail. 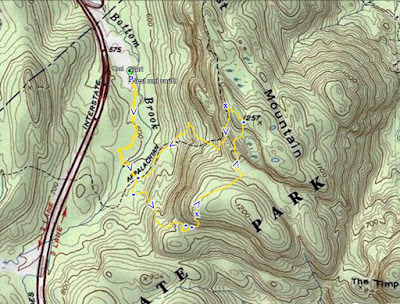 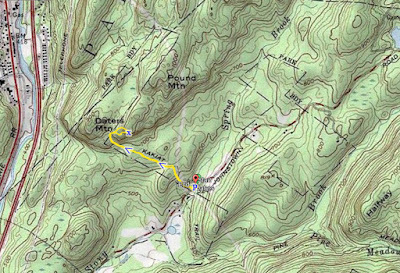 I took the Blue Trail to the Sugarloaf Trail, which climbs up to the top of Sugarloaf hill as a dead end at the top. 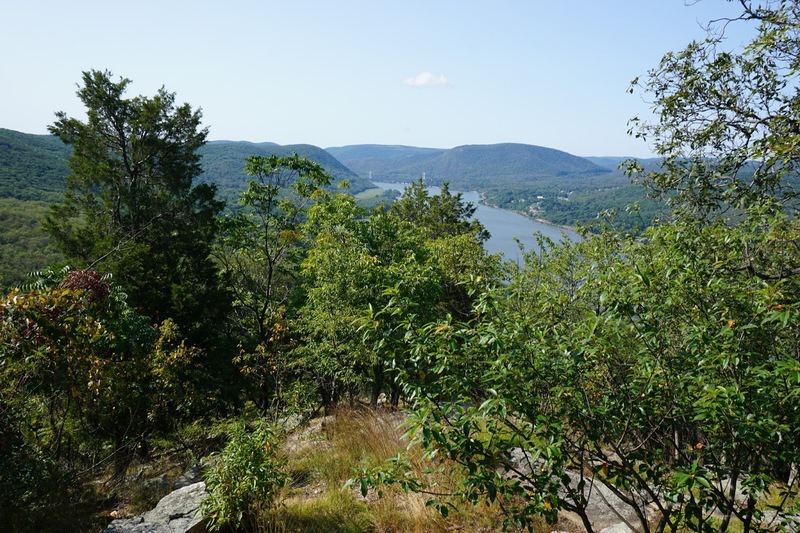 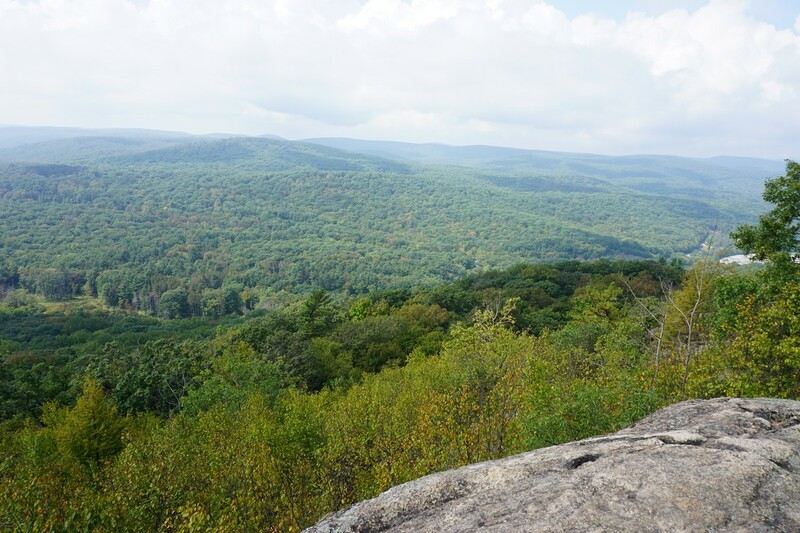 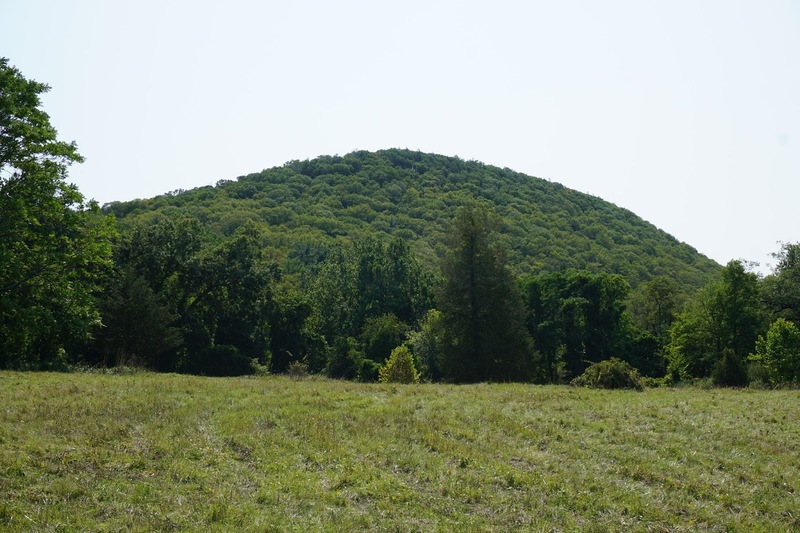 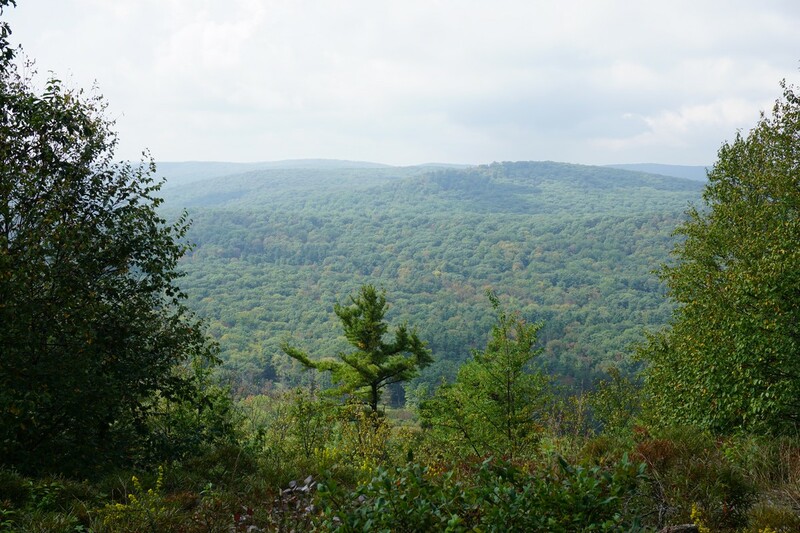 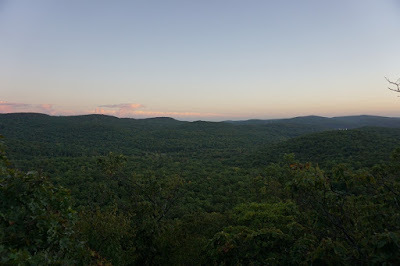 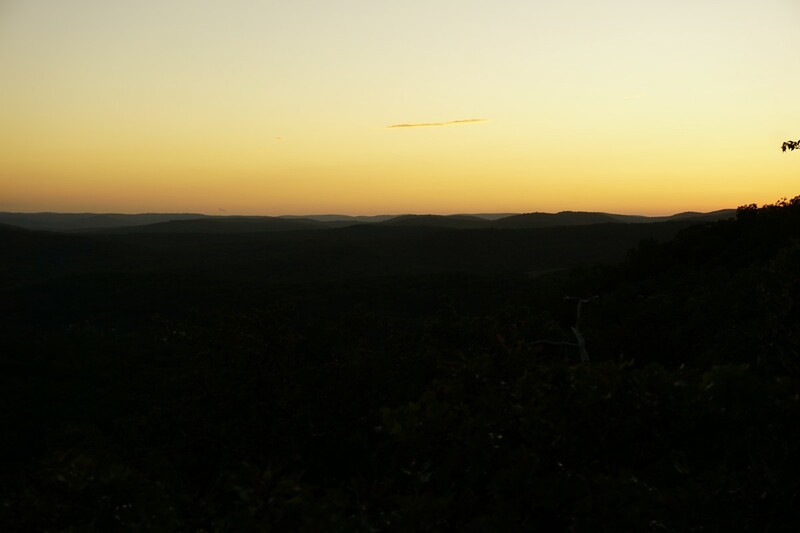 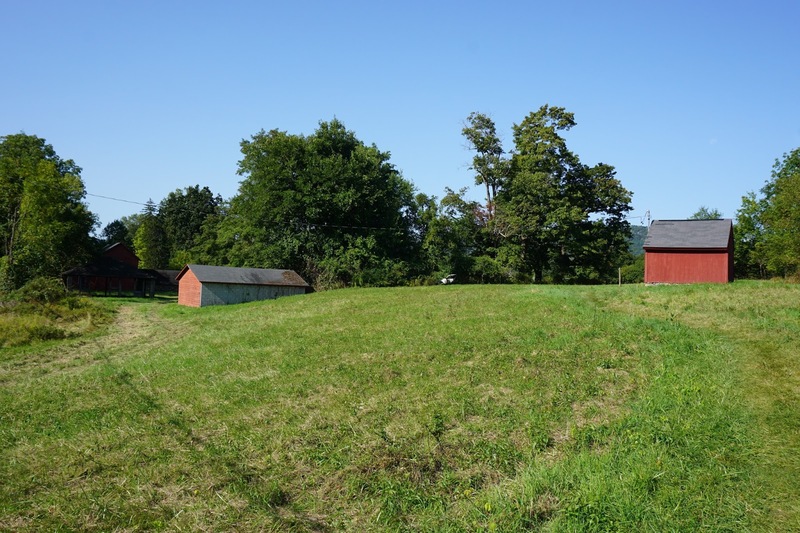 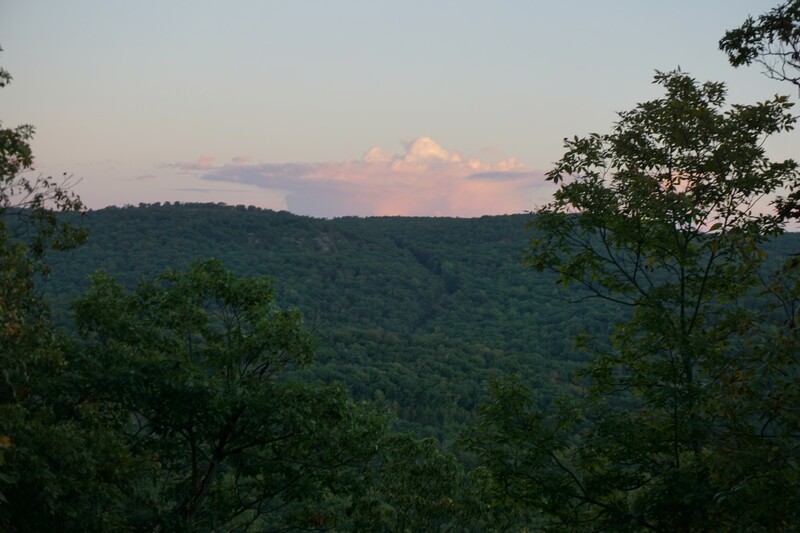 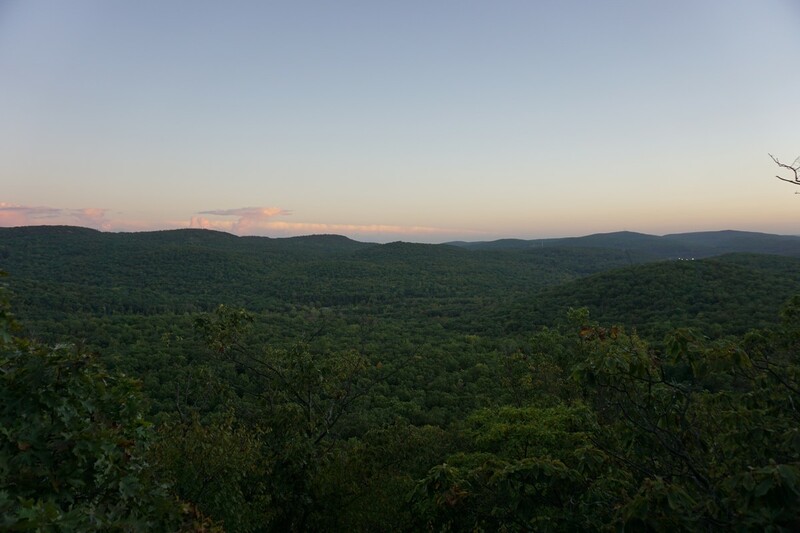 Sugarloaf is a prominent mountain jutting out from above the Hudson, and the top forms a narrow ridgeline. 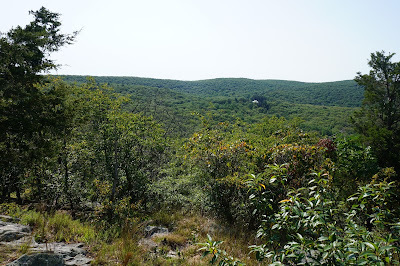 At the dead end of the trail there is a view facing south to the Bear Mountain Bridge, and a large cactus grove. I turned around at the end of the Sugarload Trail, and then took the western portion of the OSborn Loop southward, all the way down to its terminus at the Appalachian Trail. 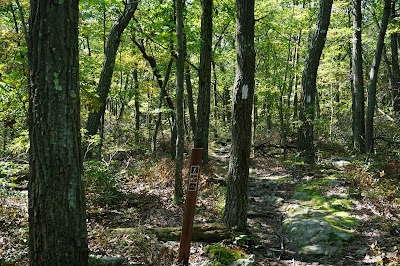 I then took the Appalachian Trail northbound, back to the Osborn Loop, which I took south and then west, back to the Sugarloaf Hill Trail. 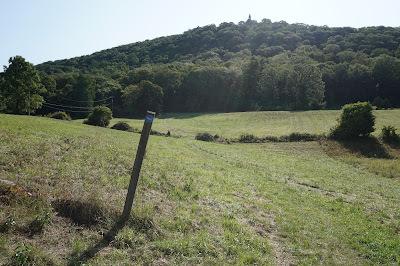 I then took the Sugarloaf Hill Trail down the mountain, through the grassy field, and back to my car. 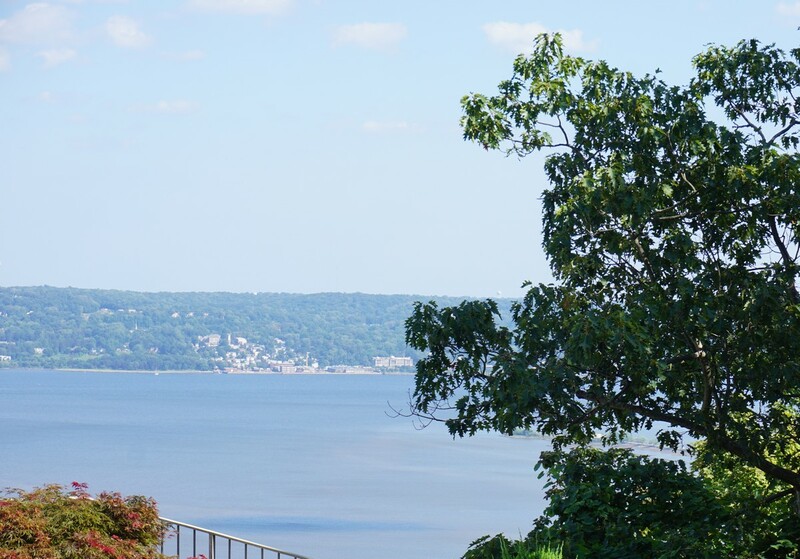 I was off of work for Labor day, and had traveled on the newly opened Tappan Zee Bridge earlier in the day. 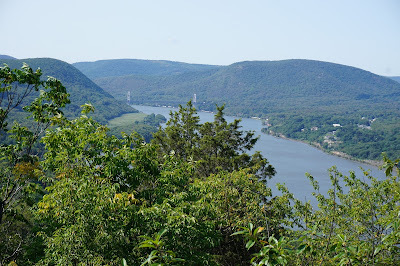 I therefore attempted a hike in the area where I could also get a good view with the new bridge in place. Unfortunately, this hike did not afford any views of the bridge, or any good views at all. 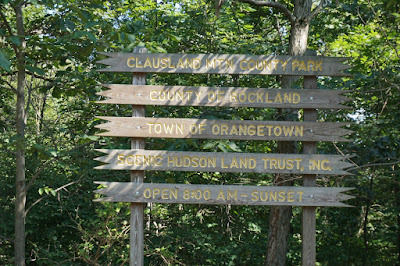 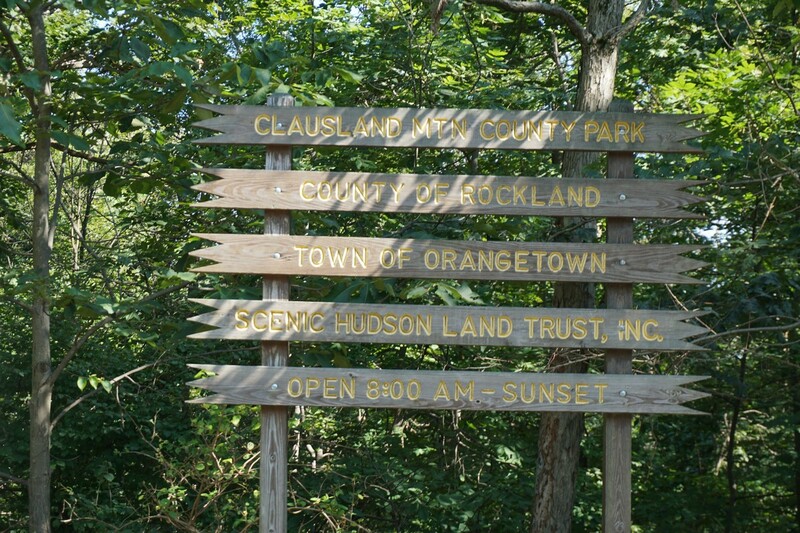 We parked at the parking area on Nike Overlook Park, and took the Orange Trail southern portion to the Long Path. We then went south on the Long Path the Cemetery, labelled as "Fremont Monument" on the map. 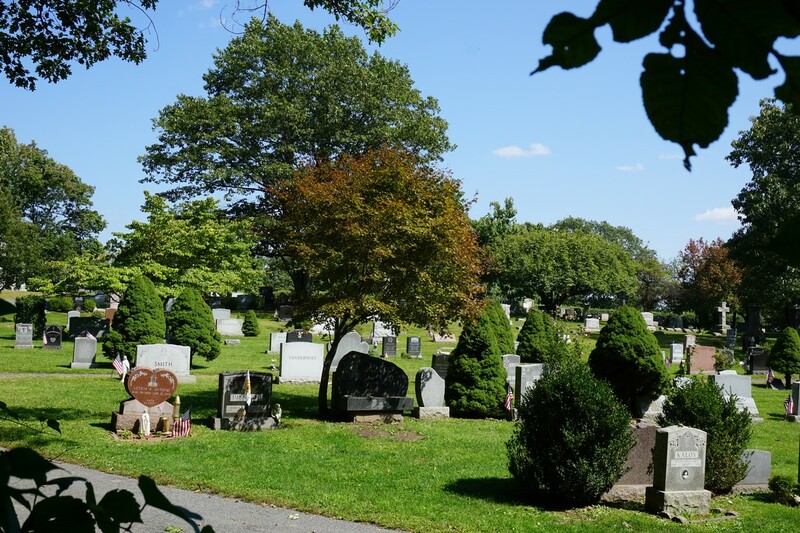 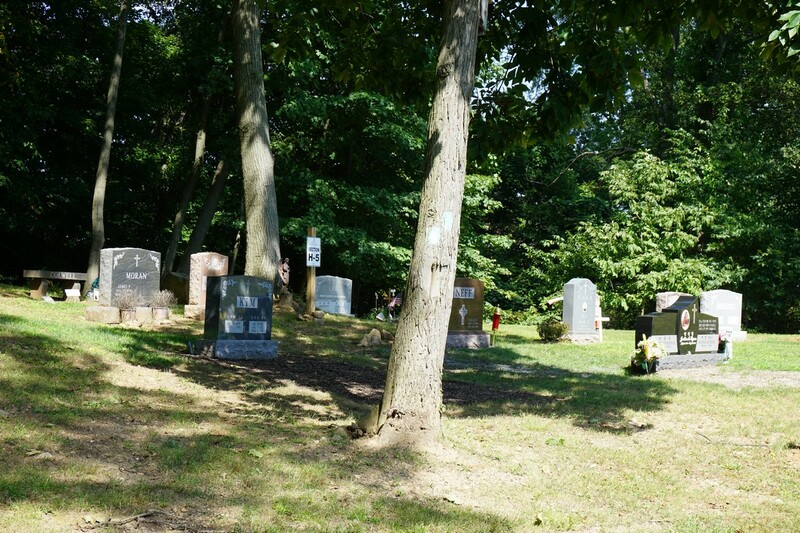 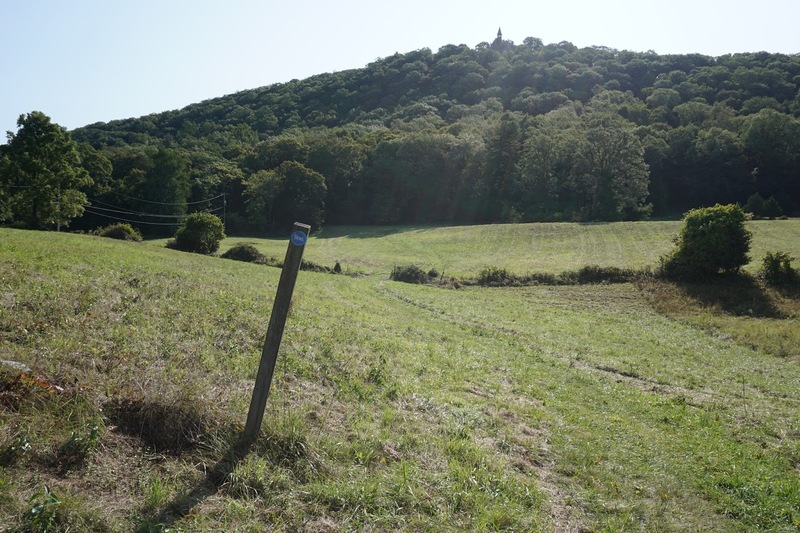 It was unusual for the hiking to enter the cemetery, especially when its not labelled on the map. The map also shows a viewpoint at this area, which doesn't exist. 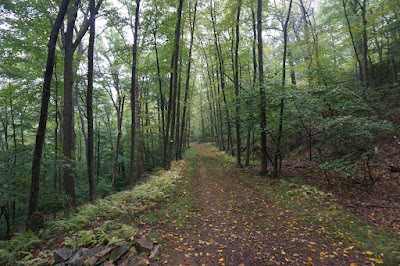 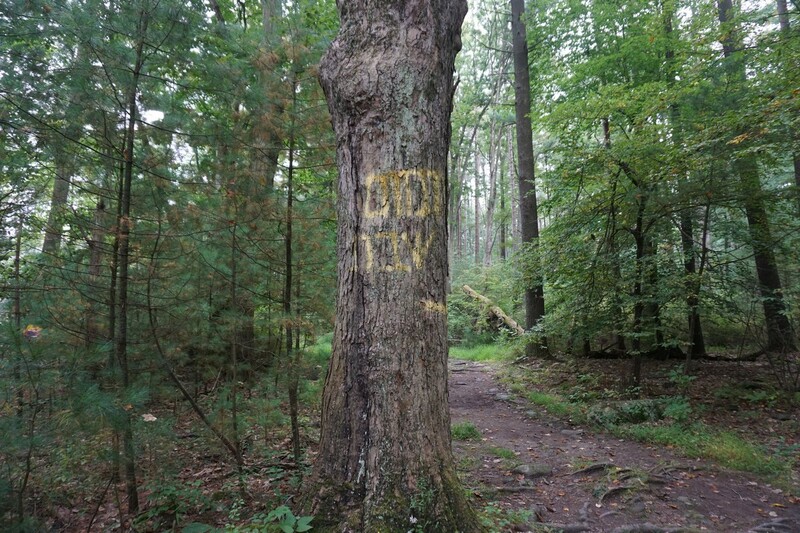 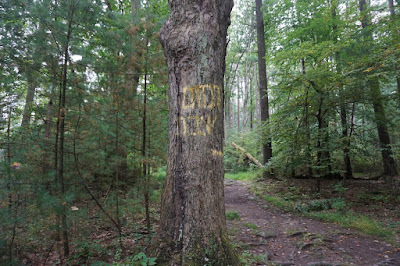 We then turned around and went back north on the Long Path, and continued to the northern part of of the Orange Trail, which we took back to the parking area. 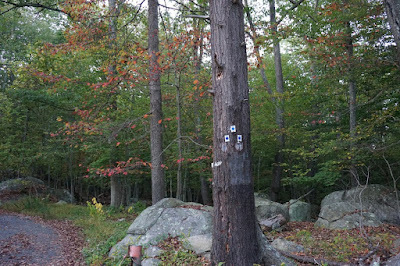 We then continued at this point to the Blue Trail, which is a short loop that leads right back to the parking area. we looped around back to the parking area and ended the hike here. I thought perhaps this loop would also feature a view, but it did not. However, we bushwacked slightly to the right to observer a view of the Hudson River and Irvington across the river.